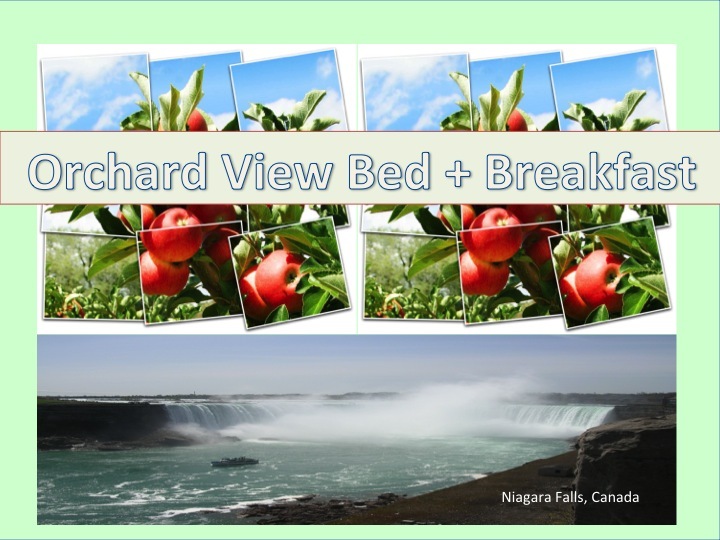 Orchard View Bed and Breakfast in Niagara Falls is a 15-minute walk from the magnificent Falls. If you like large, interesting heritage houses (1899) with a blend of vintage and bright, modern look plus our delicious breakfasts, then Orchard View Bed and Breakfast is the place for you. After a hard day of playing tourist, you can enjoy a relaxing whirlpool bath in one of our four nicely appointed ensuite bedrooms or sit in the recently renovated Guest lounge and catch up on email, browse our magazines and books or read the daily newspaper. We also have a lovely, organic garden and fruit trees to roam through after breakfast complete with fish pond and gazebo. The best part (besides your wonderful hosts! ), is that we serve a variety of fresh fruits, a hot sweet or savory entree, and yummy baked goods for breakfast between 8.30 a.m. to 9.30 am. As mentioned, you are a short 15 minute walk to the Falls or you can get the WEGO bus shuttle nearby. The WEGO bus will also take you to the Falls, the Casinos, Clifton Hill and the Scotia Convention Centre. 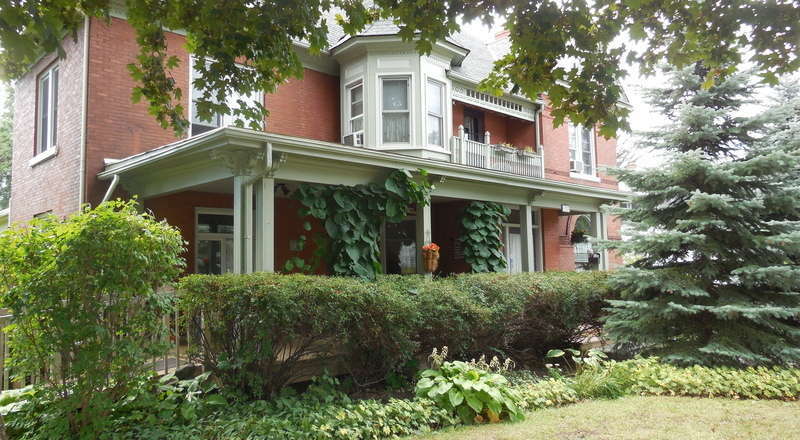 We welcome cyclists as we are part of the Cycle and Stay Niagara bed and breakfast network (https://cycleandstayniagara.com) for the Greater Niagara Cycle route.